MEYER'S COUNTRY GARDENS HAS IT ALL! 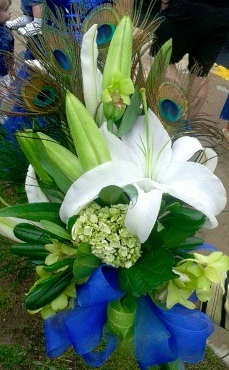 Meyer’s Country Gardens is your full service florist in the Manito, Illinois area. 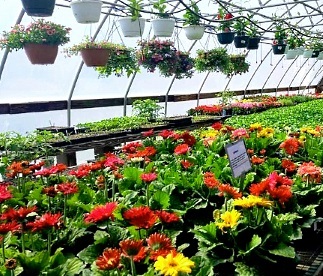 We have our own greenhouse and garden center on the premises to ensure quality and freshness. We hope you enjoy your online shopping experience with secure 24-hour ordering at your fingertips. If preferred, you may call us to place orders direct at 309-968-6195. 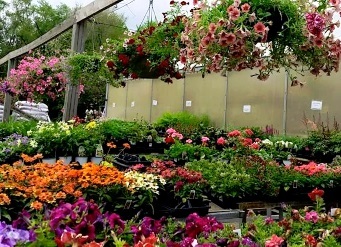 Stop by and choose from an abundance of lush, locally-grown spring flowers, outdoor bedding plants, flowering planters, hanging baskets, vegetables, seasonal container gardens and much more! We are also accredited members of Teleflora and FTD. Yankee Candles, silk arrangements, bath and body products, wine, scarves, plush stuffed animals, gourmet food & snacks (dip mixes, hot chocolate mixes, flavored teas, etc. ), gift baskets and balloons. We offer daily deliveries to all local hospitals and free delivery to the Maas Funeral Home in Manito. We are open Monday through Friday 9:00 am 5:00 pm and Saturday 9:00 am to 3:00 pm. Spring and summer hours may vary. All major credit cards are accepted. At Meyer’s Country Gardens, we will always accept special request orders and floral deliveries to local cemeteries. Whether you prefer one of our remarkable fresh arrangements, striking green plants or delicious fruit and gourmet baskets, we will help you find the perfect gift for any occasion.